Design can be said as the illustration of the creative idea which is to be formed. It all starts with a Line but at the end it makes the most attractive of all. Making a Design takes birth from various tools which is very much known to us but using the tool is the art of Design. 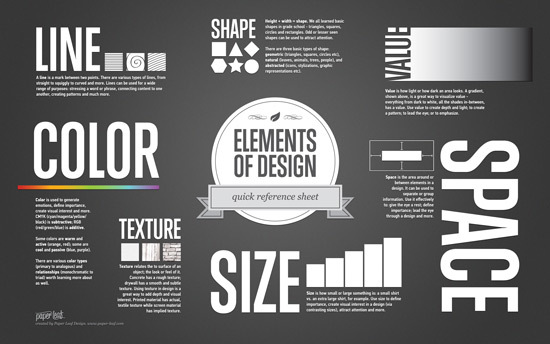 The familiar tools involved in making a Design is a shape, lines, value, meaning, color, shape, size, smoothness and text. Each of us are designer in our own ways but a bad illustrators. Designs can be described in many ways like wallpapers, posters, animations etc. Brands involving in making attractive designs which gives shortcuts to their products to be more closer to the world. This involves a lot of effort which are done with tools like Adobe, Corel etc to provide more effective and sharp images. The designer should be creative to elaborate the product requirement and features to its actual audience. Thus you may find more of Infographics coming with stats and information regarding competitors these days. The quality of the representing a Vector image, Animated video and Infographics depends on the popularity of the stream. Even I think Picture images and videos of any teaching or tutorials stay in our mind for longer time than any normal way of teachings. This makes it more interactive among the users in case of Brands. Okay, but a major question is how do you combine these elements? To my knowledge the concepts of line, shape, color, etc are know, not what new information is the infographic sending us. As I said in the blog there are various tools like Adobe, Corel, First Cut Pro etc. which helps to make a design like this. Apart from that Infographics and visual animations are used to get the reader attraction. Thus the brand conveys awareness and product knowledge. Magnificent site. Plenty of useful information here. I’m sending it to some friends ans also sharing in delicious. And of course, thank you for your post!